Jonathan has been practicing, studying and teaching Yoga, Meditation and breathwork in many forms for over 20 years beginning with a degree focus on Yogic Arts from the University of Rochester under the tutelage of Dr. Douglas Brooks and Dr. Paul Muller-Ortega in 1999. In the following years he was trained in Hatha Yoga, Kundalini Yoga, Tantra Yoga, Mantra Meditation, Vipassana Meditation, Open Focus, Ayurveda and Mindfulness. 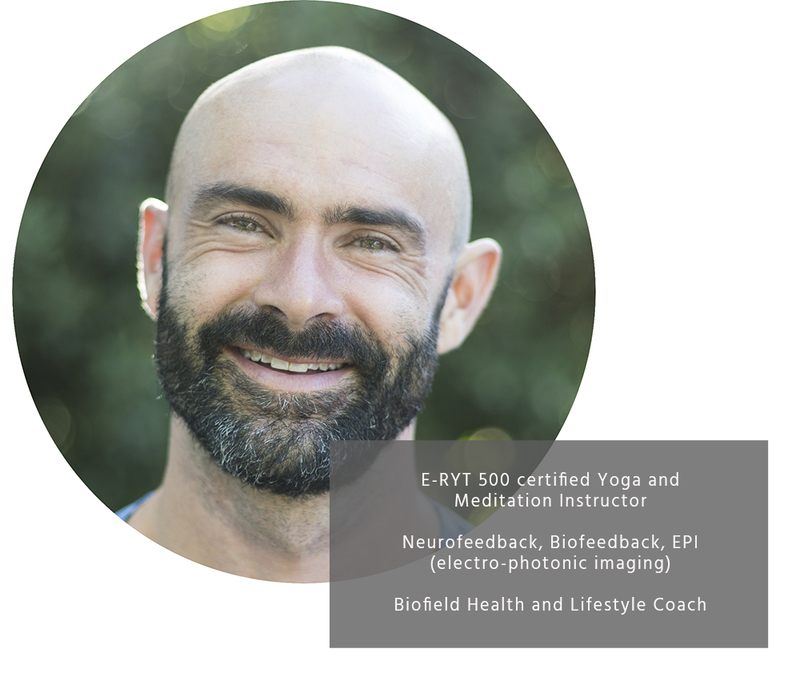 He incorporates clinical level neurofeedback, biofeedback and EPI (electro-photonic imaging) with clients to personalize lifestyle, meditation and yogic practices. He is currently teaching and consulting on Yoga, Meditation, Breathwork and Biofield Health through Yoga Alliance certified Teacher Trainings, Workshops, Retreats, group classes and one-on-one formats.